The fingertip towel never goes out of style! Although these stylish towels initially became popular during another era, they still add a touch of sophistication to any environment. And for that reason, the fingertip towel is making a huge comeback in the homes and businesses of people who are looking to make a stylish statement. Today, you can see fingertip towels in a wide variety of places, including businesses like hotels, spas, country clubs, formal restaurants, gymsand embroidery shops or even sporting events or the bathrooms and kitchens of residential homes. Fingertip towels can be purely decorative or used for utilitarian purposes. So, don't feel restricted in how you can put your wholesale fingertip towels to work for you — the sky's the limit. However, not every fingertip towel is of equal value. Some are better than others, like the high-quality, amazingly soft selection of fingertip towels available at Towel Super Center. If you are looking to add a stylish touch to your home or business, consider purchasing a stock of wholesale fingertip towels. These towels, with their understated elegance, make an impactful statement without you having to say a word. But what are fingertip towels? Do they still have a purpose in the modern homes and businesses of today? Many consider fingertip towels a relic of the past, something akin to the salad fork — still around, but rarely used. But the fingertip towel has tons of uses for homes and businesses, both as a decorative feature and for practical jobs around your place. These towels first came in vogue more than 100 years ago at hoity-toity restaurants. These establishments featured finger bowls filled with water in which diners could rinse their fingertips after their meal. But to dry them, they needed a dainty towel specifically designed just for fingers. Thus, the fingertip towel was born. It soon became an elegant feature at many upper-crust dinner parties. Home tables started featuring finger bowls and their towel counterparts. What distinguishes the fingertip towel is its size — smaller than a hand towel, but larger than a standard washcloth. They are the perfect size for drying fingers in any environment. Most fingertip towels are rectangular, and today, they're primarily ornamental in homes or businesses. However, they also are the perfect size for more functional purposes in bathrooms and kitchens. The best thing about fingertip towels is they are perfect for any environment, both formal and informal. They come in a variety of colors and are generally made out of absorbent cotton or cotton blend, which means they are incredibly versatile in what jobs they can do. However, fingertip towels are also easy to embroider and decorate to add an elegant touch to any space. Looking for a way to give your guest bathroom or kitchen a little more holiday spirit? Themed fingertip towels are excellent for any occasion. You can add decorative elements and trim to them yourself, or ask a professional designer for help. From smaller bathrooms to elegant dinner parties, fingertip towels solve a wide range of problems! Because of their size, fingertip towels fill the void for those who need something smaller than a bulky hand towel. Once you purchase your own set of wholesale fingertip towels, you'll quickly learn to appreciate the versatile benefits these pint-sized towels have to offer. Small spaces: Many guest bathrooms and even some businesses' bathrooms are, to put it bluntly, tiny. There's barely enough room for the sink, toilet and occupant, let alone any decorative features you may want to include. Fingertip towels are perfect for these small spaces. Hand towels tend to be too bulky, and may make the area feel smaller than it is. With fingertip towels, you can still allow your guests to dry their hands without taking up valuable counter space. Single-bathroom homes: If you have a one-bathroom home, you don't necessarily want your guests using your bath towel to dry their hands. Since fingertip towels don't take up much room, you can free up space on your towel rack by including these smaller versions. Unspoken welcome: When you have houseguests or customers, they will love finding little touches around your home or business designed to make them feel welcomed. Roll up a fingertip towel or two on your counter to welcome your guests with an elegant and practical touch. Formal dinner parties: Bring back the original use of the fingertip towel by including a finger bowl at your next formal dinner party. Especially for messy meals, like crabs, lobsters and clambakes, your guests will appreciate having a place to rinse their fingers and then dry them on a nearby fingertip towel. Not only is this an elegant and thoughtful touch, but you're also keeping a fun tradition alive. Give the gift of warmth: One of the things first-class flights are known for are heated towels guests can place over their faces. Why should that be an exclusively in-flight tradition? Warm your fingertip towels for your customers or guests as a thoughtful way to welcome them. Especially if they've traveled a long way, they'll appreciate this added touch of consideration. Instant decor: Fingertip towels are easy to decorate, and there's no end to the creative touches you can add. In fact, by purchasing your fingertip towels wholesale, you can have a different design for every holiday and occasion. Thoughtful gifts: A decorative fingertip towel is a perfect gift for many different occasions. If you're attending a housewarming or bridal shower, monogrammed fingertip towels are a great addition to any new home. And, when you want your customers to remember their time at your business, you can send them off with lovely fingertip towels you have designed. Add sophistication to any space: Fingertip towels don't just have to stay in the bathroom. No matter what use you can think of, they can fill that need, whether it's in the powder room, dining room, kitchen or anyplace you see fit within your home or business. General utility in the kitchen: Because of their convenient size, fingertip towels are perfect for general kitchen use. Some are specifically designed to meet the utilitarian needs of this space, made from a thinner material or even featuring loops that wrap around the refrigerator door. From drying dishes to wiping counters, fingertip towels are easier to use in the kitchen over larger and bulkier hand towels. These are just a few of the advantages fingertip towels can bring to any home or business. However, this shouldn't limit you. You’ll be amazed at the many uses you’ll find for these surprisingly versatile towels! 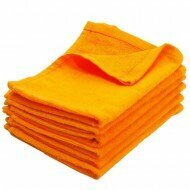 Fingertip towels have a multitude of uses for your business. Whether you own a restaurant, spa, inn or another workplace that could do with a little sophistication, fingertip towels are the perfect addition. When a hand towel is just too big, or you prefer the delicate look of a white fingertip towel for a formal setting, Towel Super Center is here to help. Here are just some of the uses you can find for fingertip towels at your business. Any busy kitchen can benefit from having a multitude of these versatile towels on hand. They're gentle enough to handle delicate jobs, like drying crystal or fancy china. But they are also hardy enough to handle tough tasks, like wiping down counters, tables and floors. Fingertip towels are even useful for practical purposes like having a towel small enough to tuck into a chef's belt, so they have something to wipe their brow if they break a sweat. Monogrammed fingertip towels are the perfect addition to any hotel or inn. It's a great way to showcase your logo. Plus, if guests enjoy their stay, they may want to purchase a fingertip towel from your gift shop as a souvenir. For an upscale touch, keep fingertip towels handy for your guests instead of paper towels or hand dryers. Although this will require extra laundering, these soft additions will give a sophistication you seldom find nowadays. Golfers can also hang fingertip towels from their bags for wiping equipment and drying off golf balls. Hand towels are a little too large for carrying around the gym. Your patrons will appreciate a smaller, more discreet option in fingertip towels. These are easy to tote and simple to hang over equipment as gym members continue their workouts. Depending on what type of job you have planned for your fingertip towel, you may want to consider the best weave for the job. The material will influence what a towel's primary function can be. Here are a few different weaves that are common in the world of towels. 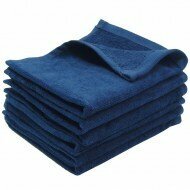 Terry: This universal towel material has large thread loops which make it highly absorbent, perfect for everyday use. Velour: This weave also has large thread loops, like terry. However, the loops are sheared to give them a soft, plushy feel, which makes velour slightly less absorbent. The material is better for blotting, rather than rubbing. Waffle: This weave earned its name from the small squares formed into the material. Although somewhat rough, it's better for more practical jobs like drying the dishes or wiping up food and debris. Jacquard: An intricate design is directly woven into this material, making it very strong and resilient, able to withstand heavy-duty jobs. Our selection of fingertip towels includes bright white as well as bold colors perfect for enhancing your décor or serving a practical function in your home or business. Towel Super Center offers a wide selection of fingertip towels for your consideration. You’ll love the pure cotton construction that stays absorbent and fluffy after every wash. Tight stitching and dense looping set our fingertip towels apart from the rest! Wash your towels again and again — they’ll keep their shape and color. When you need to order more, come back to Towel Super Center. We make this classic style a standard selection. It’s easy to see why restaurants, hotels, salons, spas and other businesses turn to Towel Super Center for great prices on high-quality towels. 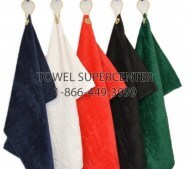 At Towel Super Center, we have a selection of wholesale fingertip towels with luxury traits. Although your price remains incredibly low, you’ll still get all the attributes you deserve, including the following. Quality construction: We offer terry and velour finger towels at wholesale prices, and we use only the finest materials to make our towels. That keeps them looking great and holding up wash after wash. Visual appeal: Not only do we offer plain white fingertip towels, but we also have an array of solid-color fingertip towels. The ability to match any decor adds to the attraction of the towels. 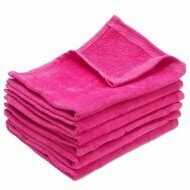 Softness: All the wholesale fingertip towels at Towel Super Center are amazingly soft. Thanks to the velour and terry, they feel incredible against even the most sensitive skin. Absorbency: What good is a fingertip towel if it doesn’t mop up liquids quickly and efficiently? Our fingertip towels are definitely as absorbent as they come! Appropriately sized: A fingertip towel that is too small is disappointing. On the other hand, a fingertip towel that’s too large is a waste. That’s why we have a few perfect sizes to meet the finger towel dimensions that are ideal for any individual’s needs. Versatile: You may want to hang your fingertip towels to save space. If that’s the case, we have a line that’s available with grommets. These are ideal for numerous uses, including embroidery. Washable: We have created our fingertip towels to give up spots, stains and odors during a regular wash cycle. If they become incredibly soiled, you may need to wash them twice. However, for most normal wear, one cycle will do. When it comes to finger towels, you’ll never spend too much when you order them at wholesale prices from our online store. 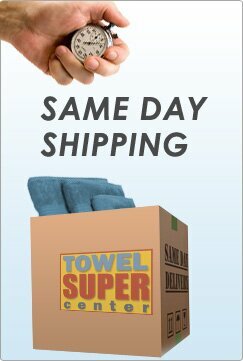 Pick the right towel, and we will deliver it to your door quickly. 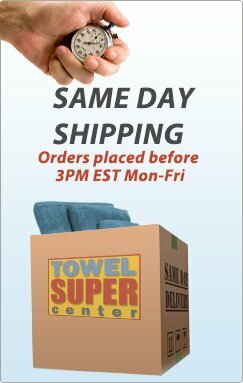 Don’t forget to order other towels from Towel Super Center as well! 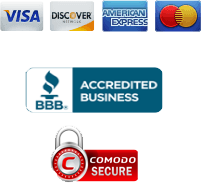 We have the best supply of wholesale towels for every business or home. Browse our selection today — we know you’ll be impressed by the items we offer.